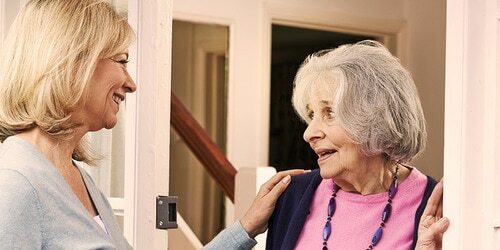 Caring for a loved one at home can become quite a repetitive routine. You need to do the same tasks regularly, every day, to keep her or him comfortable. Added to that, your once-active and clever loved one might now be severely limited by age-related illness. In which case you might have forgotten that they still need physical and mental stimulation. The person you care for may no longer be able to play tennis or chess. But there are plenty of things she or he can still enjoy. Even better, they are activities you can do together. Below are 21 ideas to inspire you. Why not download this list (PDF) and choose a few to add some fun to your routine? Then include them in a caregiving time sheet. Go for a walk – around the block, or to feed birds in the park. Fresh air, and exercise, work wonders. Listen to music; sing together if you can – especially old songs your loved one might enjoy. (Scientists have found that music, particularly singing, aids communication with people suffering from dementia). Read a book, newspaper or magazine out loud. Most of us love to hear a good story. Play a board game or cards, or do a jigsaw puzzle together. It’ll help to stimulate your minds. Watch a movie or popular old series (TV or DVDs). Then you can share your views on the plots and your favourite characters. Color pictures, or draw or paint together. Being creative is fun. Solve crossword, Sudoku or rebus puzzles. They’re great for sharpening the mind. Write letters to a family member for their anniversary, birthday or upcoming holiday (e.g. Christmas or Easter). You’ll enjoy focusing on someone you both know and care about. Have a friend bring a pet. A cute dog or kitten can transform the atmosphere of a caregiving environment. Plant a flower or seeds, or just water house plants together. Their growth will give you something interesting to talk about. Pick flowers, and make a bouquet together. Beautiful colours and scents help you feel good. Create a meal menu for the week. It gets the imagination going and gives you something to look forward to. Take a ride together, in a car, or on a bus, tram or train – to an amusement park, zoo, museum, or nearby castle. It could be a great adventure. Have a picnic for just the two of you or with other family members/friends. It’s another good excuse to get some fresh air. Bake a cake or cookies together. The gentle physical exercise is good for you when you’re stuck indoors. Buy different exotic fruits and eat them together, talking about their names and countries of origin. It’s good for your health and will stimulate your imagination. Sit together on a public bench and watch the world go by. You might be surprised who or what you see. Dance, stretch or practice gymnastics together. It’s important to move about and exercise regularly. Create your own spa/beauty salon at home. Give your loved one a manicure, or put on a face mask together. It’s fun, and it feels good. Make a scrapbook using pictures from old magazines. Your loved one could choose a favourite topic. Look through old photo albums, family heirlooms or greeting cards. They’re bound to spark memories and stories you can share. Would you like to remember the above suggestions? 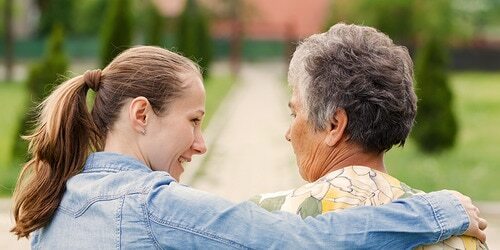 Download "21 activities to do with your loved one" in PDF format. 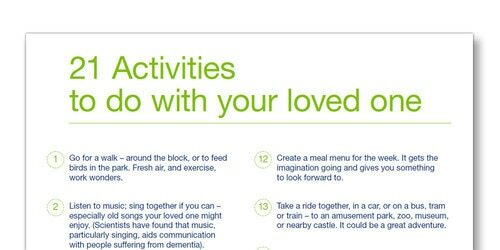 Download TENAs "21 activities to do with your loved one".